The U.S. Fish and Wildlife Service (Service) is offering an opportunity for local ranchers to graze livestock on the Fort Niobrara National Wildlife Refuge (NWR) through a Cooperative Agricultural Agreement for a period of six weeks The 19,131-acre refuge is located four miles east of Valentine, Nebraska. The Service has used grazing as a habitat management tool on refuges since the establishment of the National Wildlife Refuge System in 1903. Grazing is a flexible tool and allows refuge managers to adjust the rates, timing, duration, seasonality and return intervals to accomplish specific habitat goals for the benefit of migratory birds, pollinating insects and other native wildlife. During pre-settlement times, large herds of grazing animals once roamed the prairies, grazing heavily for a period of time and moving on, not returning for several months or years. Throw wildfires into the equation and over time, prairies evolved with cycles of disturbance followed by periods of rest. Prairies responded with increased flowering plants, seed production and diversity. Today, the Service uses livestock to simulate the same effects; grazing to increase plant diversity, structural diversity (density and height of the vegetation), and reduce invasive plants. The effects that a herd of ungulates (cattle, bison, horses, deer, sheep, etc.) have on a prairie can vary depending on intensity and timing. Intensive grazing targeted at dominant grasses temporarily reduces grass density and creates space for flowering plants to grow. Structural diversity is managed by grazing to provide habitat for a variety of species at different times of their lifecycles. Grazing can also reduce invasive grass species such as smooth bromegrass and Kentucky bluegrass. These cool season grasses can invade prairies, outcompeting native grasses. By grazing early in the season, the cattle weaken the cool season grasses by slowing development, decreasing seed production and depleting root reserves. If you have questions about grazing, habitat management, or are interested in applying for grazing privileges on the refuge, please contact Refuge Manager Steve Hicks at 402-376-3789 ext 200 or steve_hicks@fws.gov. 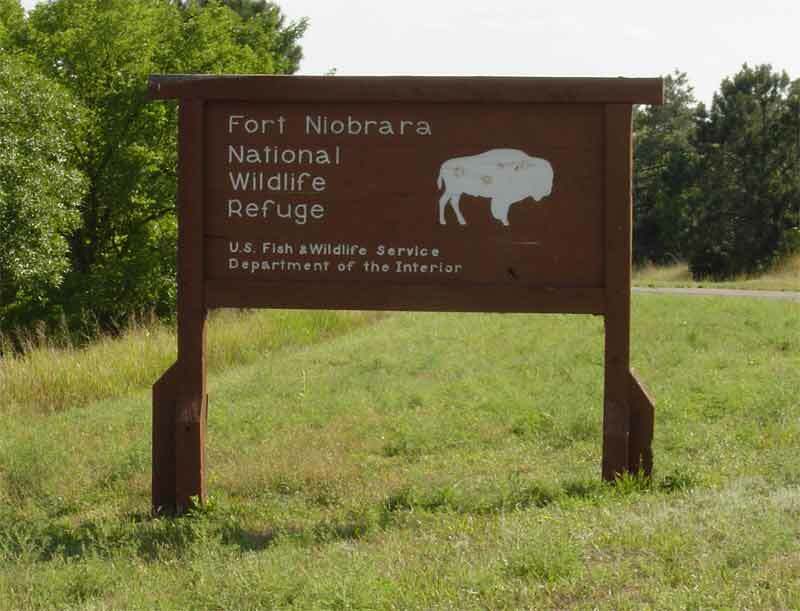 For more information about the refuge, please visit: https://www.fws.gov/refuge/fort_niobrara/.